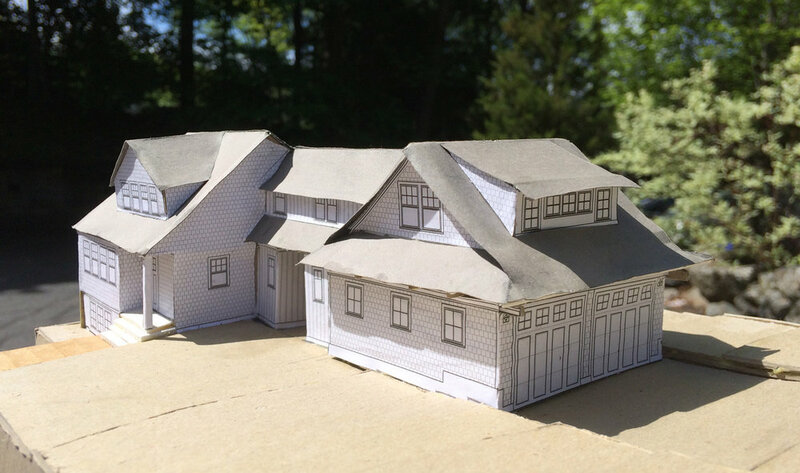 Addition and remodeling for a 1924 bungalow located in a suburban neighborhood. Existing to be Renovated: 674 sq. ft. 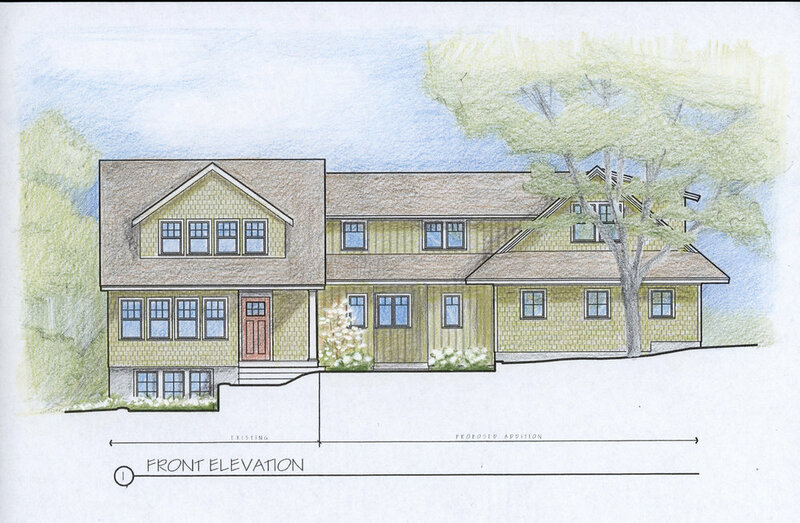 Proposed Addition: 348 sq. ft. 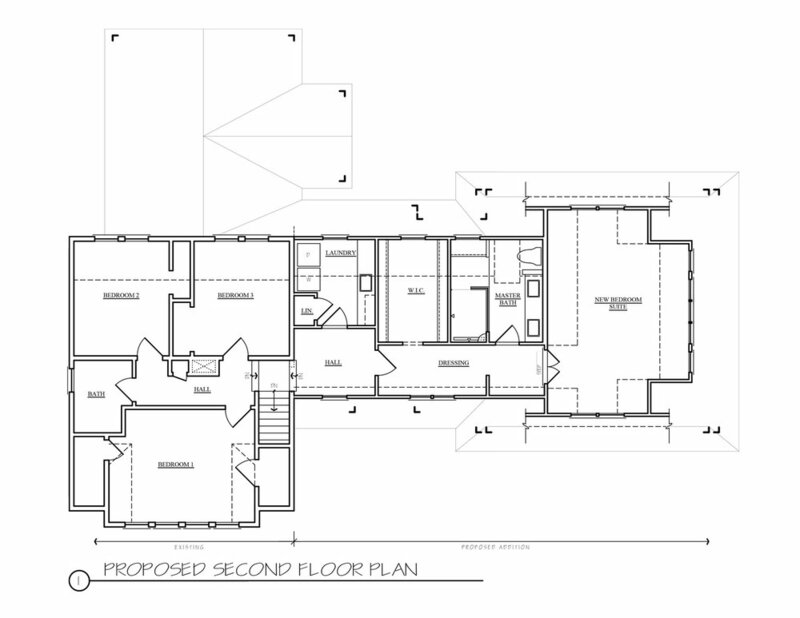 Proposed Garage: 528 sq. ft. 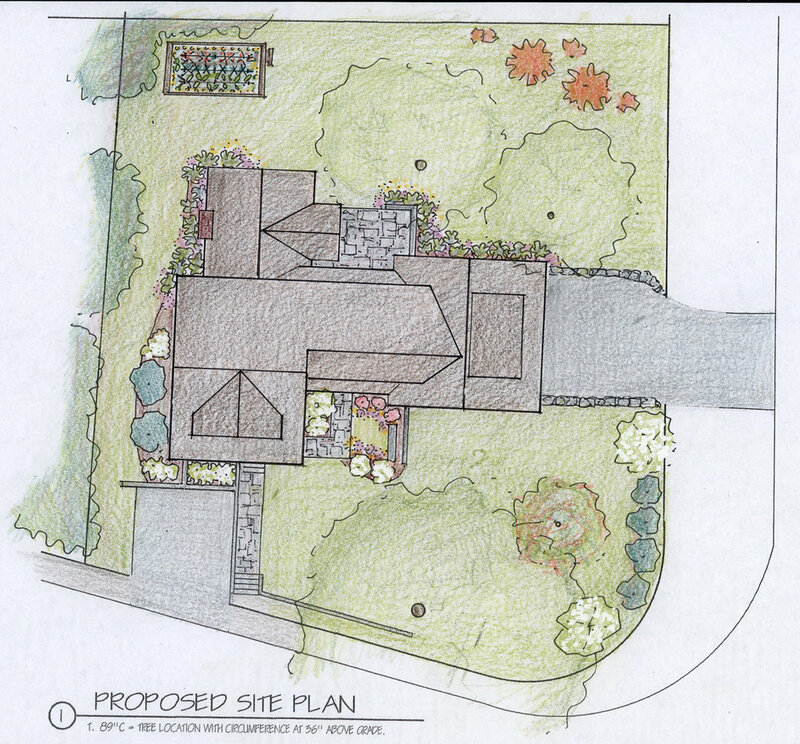 Proposed Addition: 671 sq. ft. Proposed Addition: 348 sq. ft. – Unfinished. Update this charming but dated home for a young, growing family. 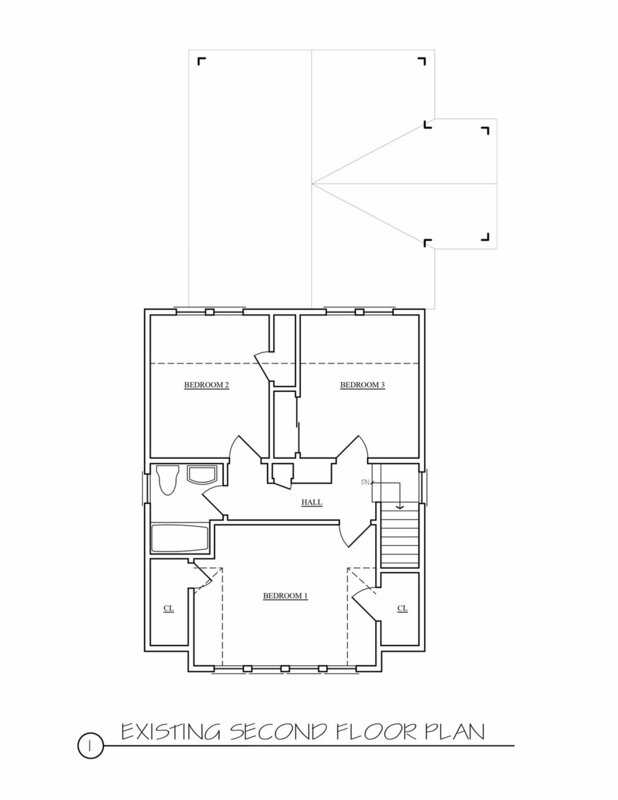 Even if all you like to make for dinner is reservations, one look at the existing condition floor plan will convince you that this kitchen needs help. This couple are cooks and enjoy entertaining, so a major driver of our solution revolves around creating a gourmet kitchen with space for family and friends. Other requirements of their new program are to create a 2-car garage at the 1st floor level along with a mudroom & side entry. We expanded the dining room and opened it up to the new kitchen and tucked in a discrete powder-room to replace the awkward bathroom in the Family Room (a previous addition). Eventually this bathroom will be removed and the Back Entry opened up to create a more inviting flow between the Family Room and Terrace with french doors and cabinetry built-ins to support outdoor entertaining. 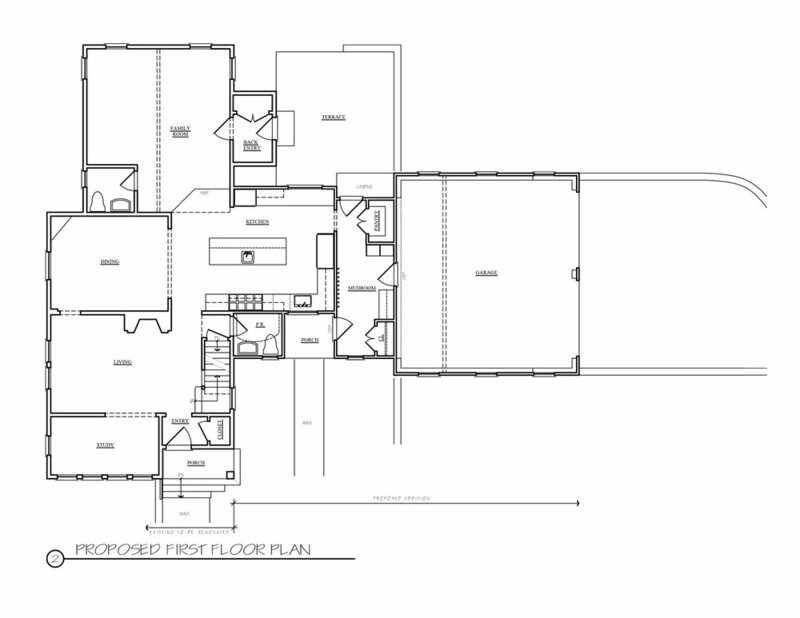 At the second floor we created a master bedroom suite and a laundry room without disturbing the existing 3 bedrooms and bathroom. The original garage space at the basement level will be converted to a kids play room with windows replacing the garage door and the driveway partially filled for a landscaped area. The remaining old driveway is for guest parking.